Feel rested. Feel happy. 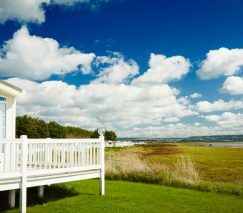 A holiday home at Carmarthen Bay is the perfect tonic to a busy lifestyle. One where you can breathe easy away from the clamour of everyday life and remember life’s simple pleasures. Like long strolls on the coast, a day spent amongst nature and time with family. Adjacent to a beach, with expansive views of the idyllic Gwendraeth Estuary, Carmarthen Bay makes the most peaceful retreat. Here, from the luxurious comfort of your own lodge, you can enjoy life at a slower pace. A lazy morning on the deck admiring sea views, a day on the beach, an afternoon wandering open countryside… a new lifestyle starts here. Set in beautiful scenery your holiday home provides a year-round retreat. From uplifting weekend escapes to transformative month-long getaways. Unwind on Carmarthen Bay’s very own beach – the sea air feels so refreshing. Pembrey Country Park, and its 8 miles of golden sand, is just a short distance away. Superb facilities keep the kids entertained, like our heated indoor pool and all-weather playgrounds. Spacious, modern, super-cosy… your lodge features everything you need to make your holidays effortlessly relaxing.